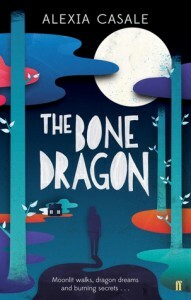 If you like a slower, more subdued read, then The Bone Dragon might be a good choice for you. There are a lot of tough issues addressed in this book, and they were often subtly and carefully explored. Evie’s traumatic past and delicate relationships with her foster family are handled very well. I could feel her grief, understand her desire for secrecy, and empathize with her feelings of wanting to be loved. 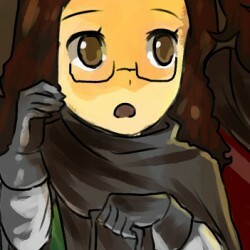 The other characters were pretty well rounded out, and I really appreciated the way the relationships between so many of them were examined — and grew — throughout the story.Only stupid people think innocence is some weird state of not-knowing that children grow out of once they start to understand innuendo. Or maybe it’s not that they’re stupid: maybe it’s just that in some weird grown-up way they are still innocent. Because otherwise they’d know better: they’d understand, even if they couldn’t really explain it, that innocence is so much bigger. It’s every aspect of life you have before you know how precious and wonderful it is to be ignorant. It’s all the time you spend rushing, rushing to know, never expecting to find grief waiting beside knowledge.Where I had trouble with The Bone Dragon was in the pace. Despite the mysteries developing and problems that arise, it felt like it took a long time for things to happen. I wanted to see a lot more of the dragon, but it seemed to be a pretty minor character overall. The ending was also quite a surprise, and one that I’m still not sure I’m really happy with. I won’t spoil anything, but I was left feeling kind of let down instead of fascinated (as I had hoped I would be).